hd00:11Statues on roof. Biblical figures on the architecture of Saint Peter Basilica, in the City of Vatican. 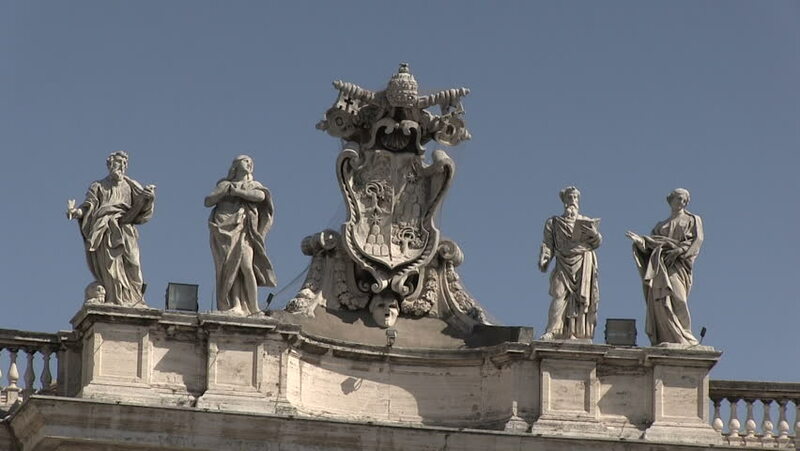 hd00:26Saints statues at the top of St. Peter's square colonnade in Vatican city, Rome. Blue sky with white clouds in the background. hd00:13Saints statues at the top of Tuscan colonnade at St. Peter's square in Vatican city, Rome.